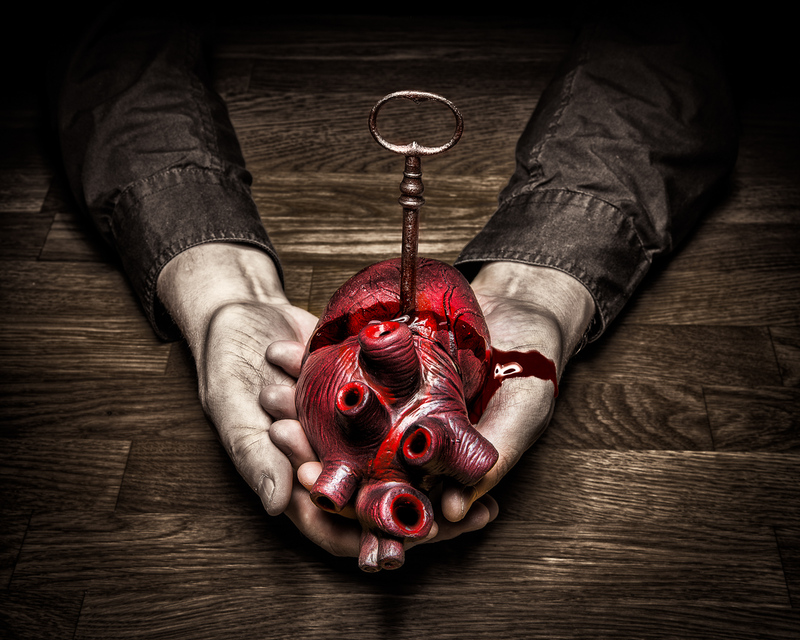 “I gave you the key to my heart and you stabbed it right through it”. This idea have been circling in my head for a really long time. I thought I would use heart of a pig, but those sold for food had veins chopped too short and looked too much well like food. I finally found a plastic heart from ebay that suited the image better. Antique key was bought from the same place and I had all the pieces for the idea. Lighting was pretty much the same as in “Forgive Me” but I used Godox stobes insted of Yongnuo.